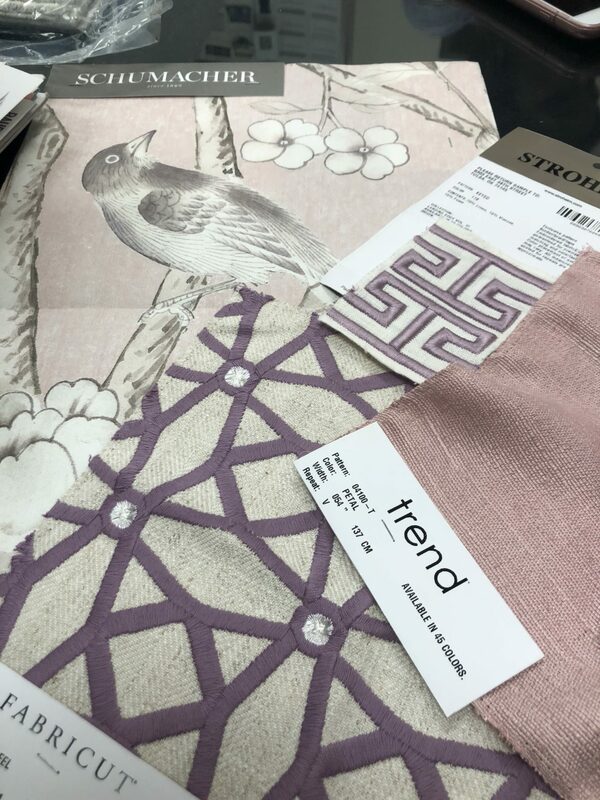 fabric, IBB Design, interior design, Shay's Favs! Today we’re discussing the design & demo plans. 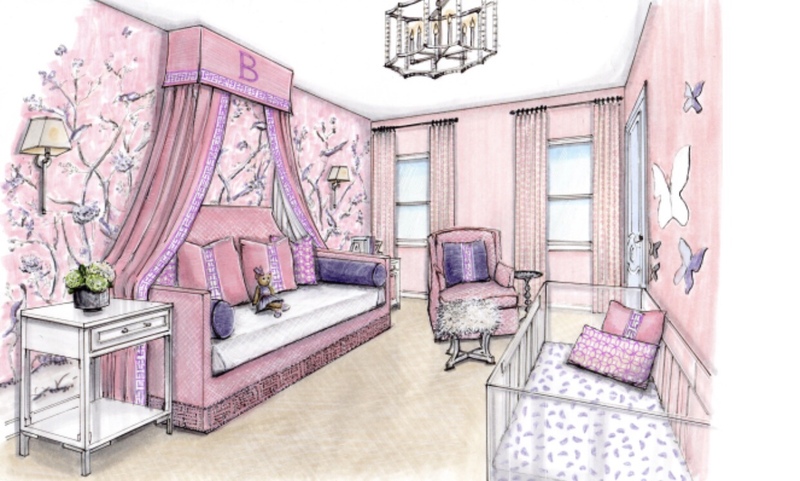 Below is a rendering of my design for the nursery. 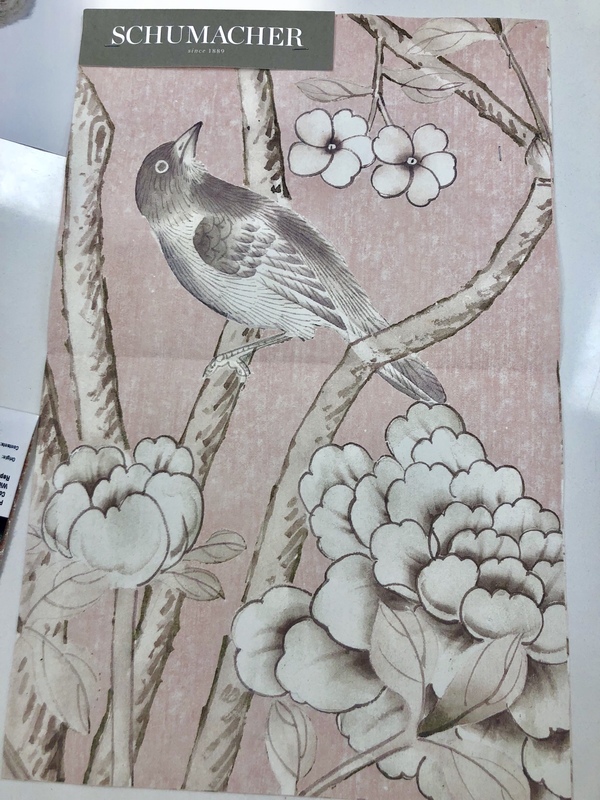 Last week, we discussed how this gorgeous Schumacher wallpaper was our jumping off point for the room’s design. 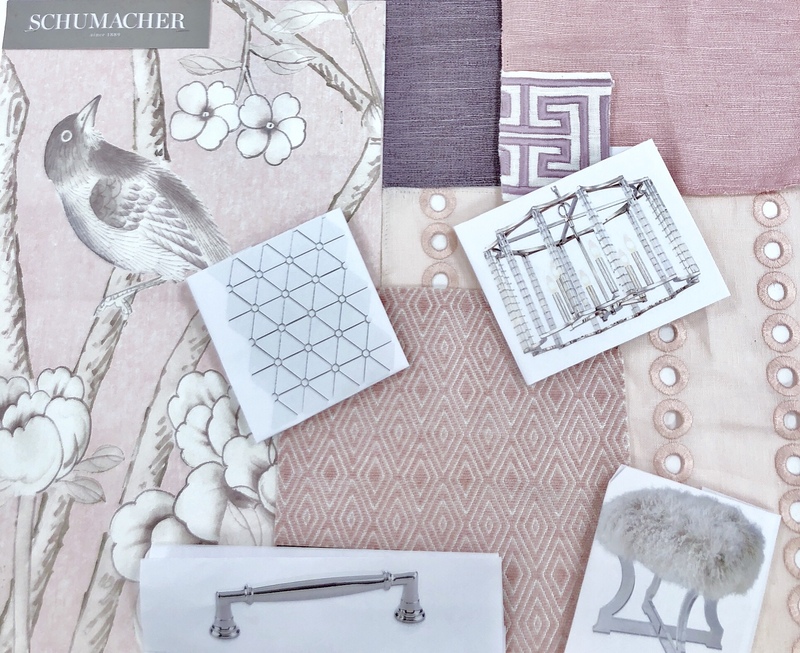 We’re very fortunate to have Fabricut as the fabric sponsor, so we’ve selected some amazing fabrics in our palette for drapery, a treatment over the custom daybed, the swivel rocker & pillows. All of the tile for the bathroom remodel has been provided by Overstock.com. Can we just take a moment to give them the biggest shout out? They have gone above & beyond for our challenge. 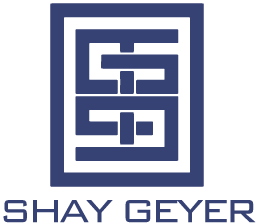 Their customer service has been amazing and I’m very excited about the products my client is receiving from them to finish out the bathroom. They get a huge gold star for giving us access to the “easy button”. 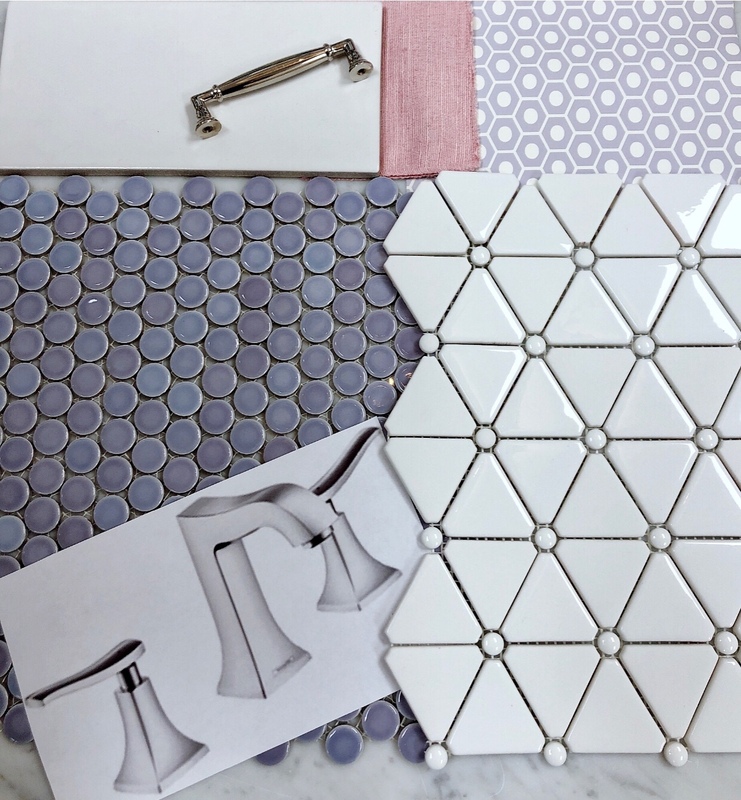 Back to the design – Let’s chat about the bathroom. 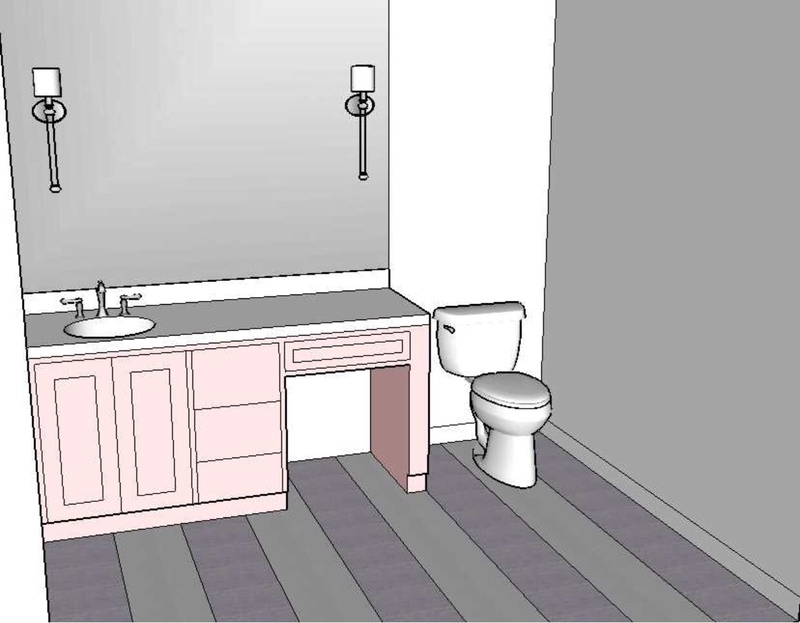 We are creating a striped pattern on the floor out of the lavender penny round & the white rectangular ceramic tile. The white patterned tile on mesh is for the tub surround. I absolutely love the Emtek hardware for the vanity cabinets & other bathroom built-ins! All of the plumbing from Hansgrohe has arrived. The polished nickel faucet is amazing! I cannot wait to see it installed. We also chose a hand held shower wand so bathing the baby will be a breeze! The tub & sink from Overstock.com have arrived too & our contractor is getting the tub set as we speak. 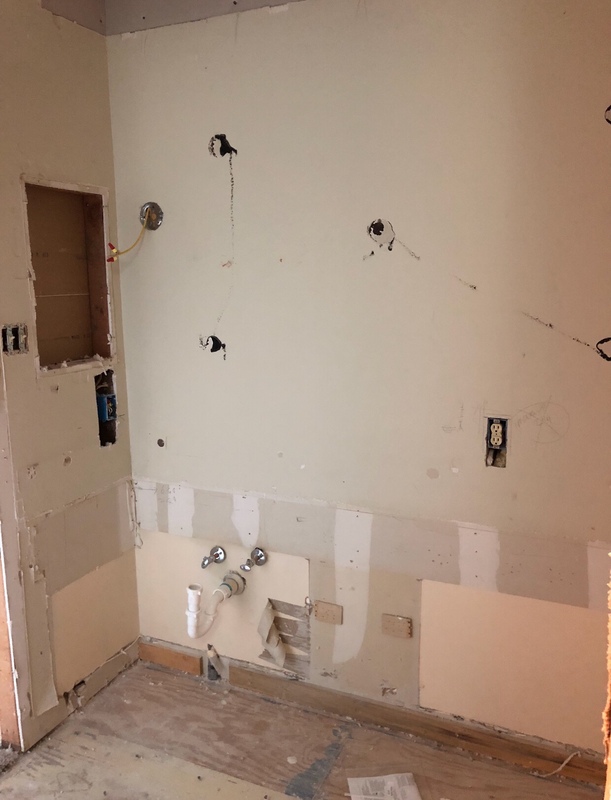 Lots of prep work is happening & the tile work should be starting soon! 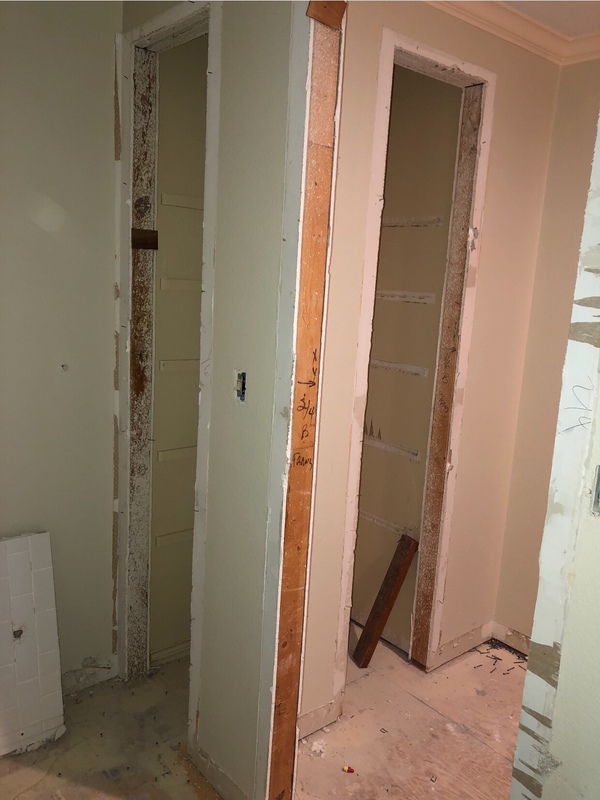 Here are a few progress photos of where we’re at now. 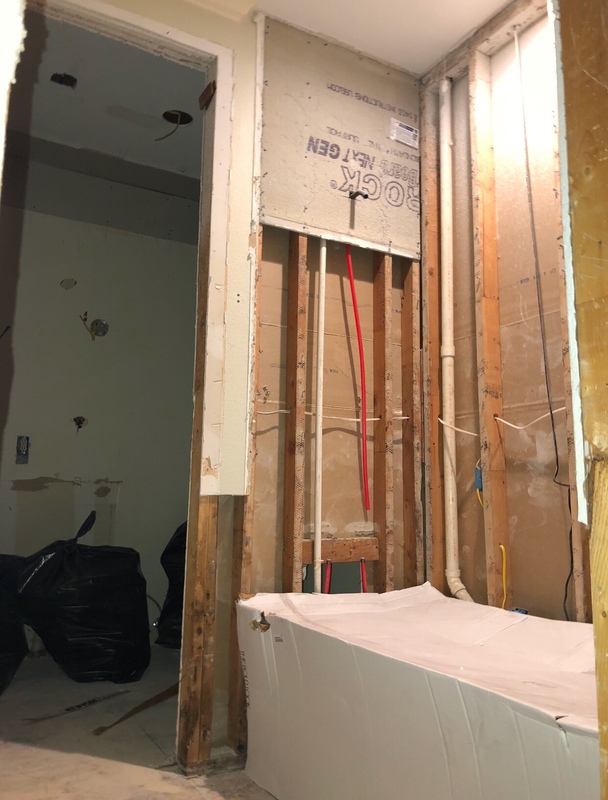 The new bathtub is going in! These will both become new storage areas with adjustable shelving, a dirty clothes hamper & drawers. The junction boxes for the bathroom sconces are in. They will be set inside the mirror. Next week I’ll go more in depth on our lighting and furniture selections & of course more progress updates! Make sure to follow me on Instagram & check out my stories for more sneak peeks, behind the scenes, sponsors, tips & more! 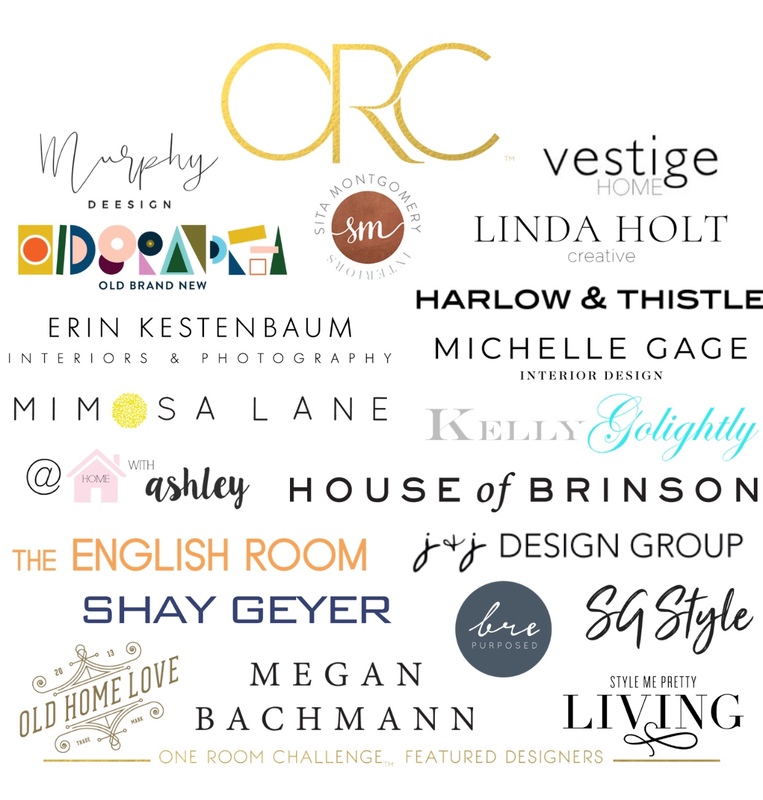 Don’t forget to check out the other featured designers! 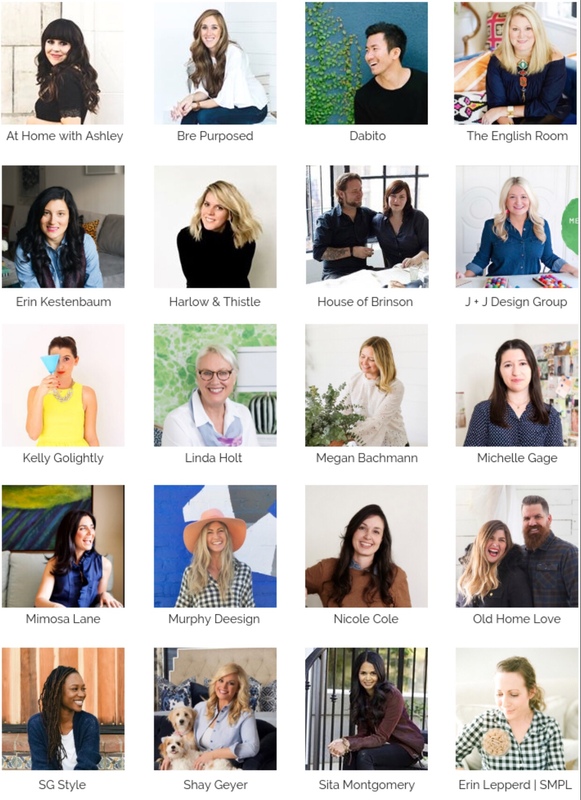 I am having a blast following all of their projects! So much inspiration! Are you joining as a guest participant? Message me so I can follow along. We’re all in this together, right? Cheers to progress in our makeover journeys! !